Tampa Bay was the last stop in 2018 for Rebecca Alexander and her ceremonial first pitches. 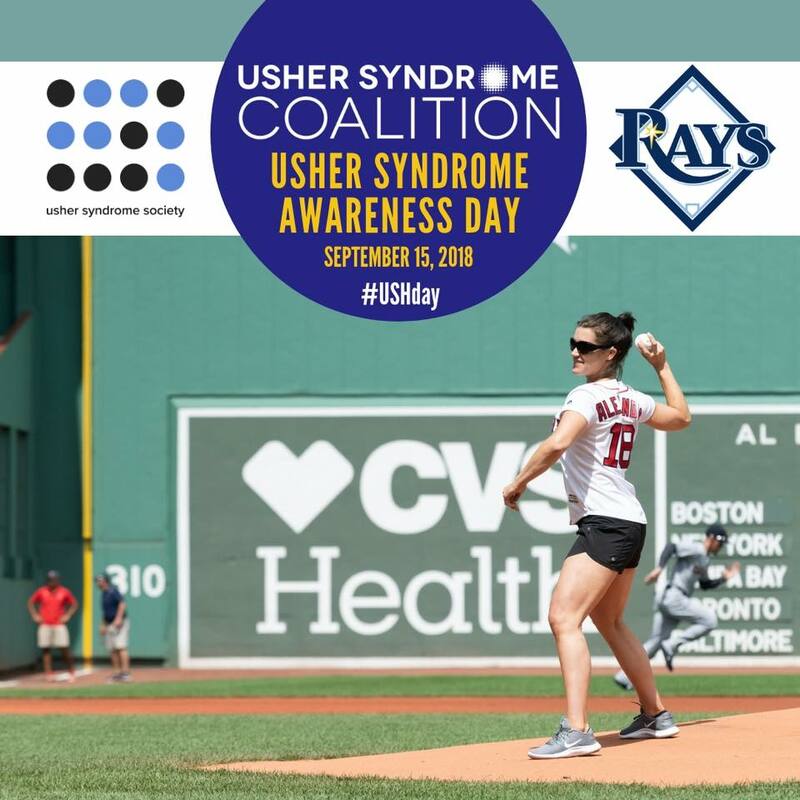 On September 14th, her pitch tipped off a worldwide celebration of Usher Syndrome Awareness Day. Prior to the game, the Usher Syndrome Society hosted a pop-up Shine a Light photo gallery featuring moving portraits of individuals living with Usher Syndrome and their personal journey stories. Proceeds from the pop-up gallery and ticket sales were donated to Usher Syndrome Coalition in support of their efforts to connect families with Usher syndrome resources and to build a registry of those affected - helping researchers find a cure.